A chance to explore the beautiful city of Canterbury and one of the greatest castles in England, Leeds Castle while travelling through the lovely Kent countryside. 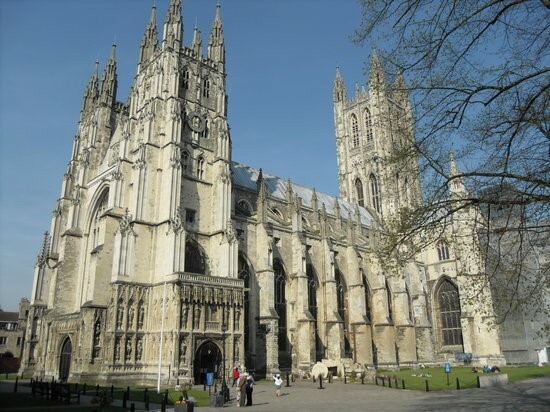 On your journey from London you will travel through the county of Kent known as ‘the Garden of England’ with its lush fields and pretty villages to the historic ‘English Cathedral City of Canterbury’, a UNESCO World Heritage site and home to Canterbury Cathedral. The Cathedral has been present since 597AD and was later rebuilt 1070-77 with further revisions over time. There are many tombs of famous people that you will be able to see, such as Henry IV and the Black Prince. Wander through the narrow streets of Canterbury and you may come across the Crooked House, which is the second most visited attraction after the Cathedral. Our journey continues to Leeds Castle through the Kent countryside where we pass through the charming village of Chilham, a good choice for lunch, with its castle and church dating back to the 15th Century. 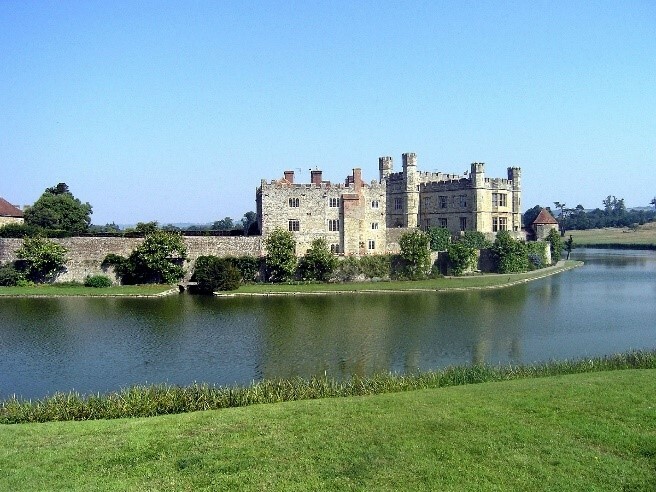 On arriving at Leeds Castle, you will be in awe at the 900-year-old Norman Castle, built on two islands majestically rising from the moat and surrounded by a lake and some of the most scenic formal gardens and parklands, often used for film sets and other productions. Explore the castle, chapel, galleries, courtyards and banqueting hall before enjoying the beautiful gardens, where you will see plenty of wildlife and wildfowl and the black swans. You can also enjoy the maze, which was made from 2400 yew trees. Chartwell House, a historic property dating back to the 16th Century and the family home of Sir Winston Churchill with its wealth of original furnishings and books surrounded by landscape gardens and lakes.